With a much larger crowd than expected (16 people!!!) the Trial San Francisco Loo Tour kicked off last Saturday. The tour wound it's way from a green street toilet by the Ferry Building to Union Square. My victims guests were a great lot. Based on feedback I've had so far, doing the trial tour really served to confirm what I already suspected: There is some interesting content that needs a tighter narrative, more fleshing out, and a shorter walk. At this point it is looking like the tour will naturally divide into two routes. One along the piers, focusing on toilets, water politics, sewage and plumbing. The second in the inner city focusing on politics of space, gentrification, public toilet facilities, and what it means to have (or be denied) the right to a safe clean toilet. More on both these journeys anon. In the mean time, here are some shots of the tour in action. A complete list of publicly available toilets in the city actually exits! Showed here next to a "restrooms for customers only" sign. An innovative plan. Discovered by accident on the tour. Clarke's second law: "The only way of discovering the limits of the possible is to venture a little ways past them into the impossible." After many months of dragging my feet on San Francicso research I've finally reached the eve of my first American Loo Tour. Tomorrow I'll be doing a trial run in the city for a group of (hopefully forgiving) friends to test out some new stories, and see in any of the British ones translate to our new-world sensibilities. I have a lot of facts that are yet to be spun into stories, and a lot of destinations that are yet to be molded into journeys. My biggest challenge so far has been to find a visually interesting tour. San Francisco has no shortage of potty-politics. Gentrification, open defecation, the only coastal combined sewer system in California... abstract concepts which are difficult to connect to visuals unless we pass piles of poo Actually we may well do that but it's hard to say where, because employing someone to deposit it at a set place at a set time would be expensive* and illegal**. 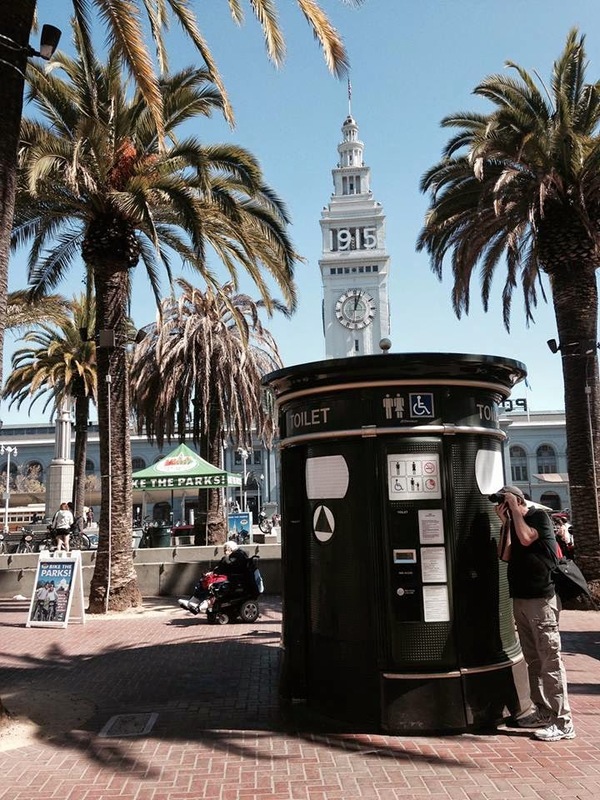 The most easily recognizable features of SF toiling are the green JC Deceaux automatic toilets, which were installed in the city in 1995. There are 25 of them, though probably less than half are currently functional (and the ones that are are not necessarily anyone's first choice.) These spaces embody a lot of the potty politics of the city, from its washing its hands of the responsibility to provide (JC Deceaux is meant to maintain them) to the subversion of spaces by a small margin of the population who make them un-usable for the majority. Two years ago I was on holiday in SF and had come out of the Bart station at 16th and mission. First thing I spotted (with my nose for these things) was a JC Deceaux, so of course I had to investigate. I pressed the button (they are free!) but the door only shook and rattled. Just then a police car pulled up. "You don't want to go in there" he told me. Curiouser and curiouser. And I love a good story, so I tried to get him to give me the juicy details. "Why? What's in there? I don't need to use it... I just want to look at it..." He was un-yielding. "Just use the cafe down the street." What was actually in there I'll never know. I've since learned that people will sometimes jam knives into the doors of these "20 minute hotels" to keep the cops out while they do whatever it is they need to do (usually not what they are intended to do.) So there may have been something specific. Or he may have just not thought it a good idea for an over-curious and possibly not entirely sane young woman to risk finding out. In any case that- along with the question "What else is there"- is where this new adventure starts. Who knows what else I may uncover in the toilets of San Francisco! If you're interested in joining future loo tours best place to keep an eye out is on the e-mail list, facebook page or twitter. Or drop me an e-mail! *Fines of no less than $50 and no more than $500, so I'd have to budget $225 a tour plus costs I guess? 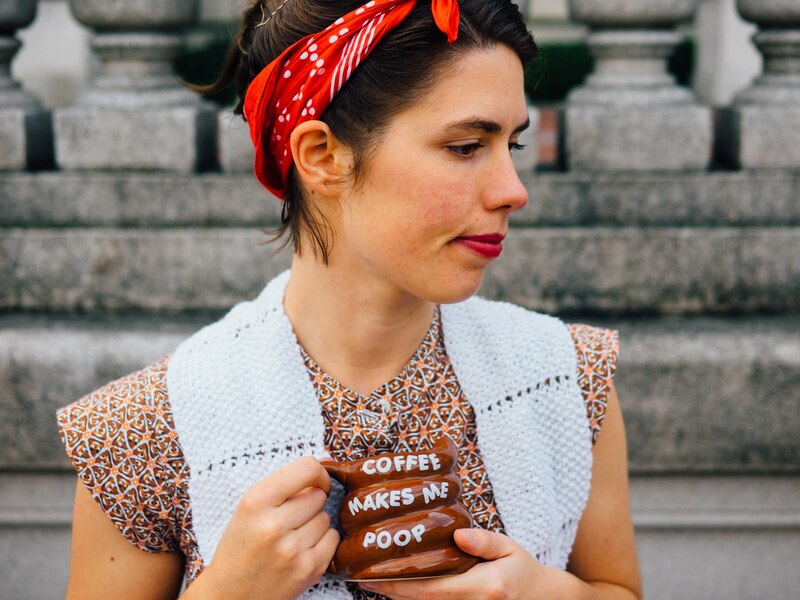 Thoughts and adventures from a sometimes entrepreneur, sometimes toilet lady and full time eccentric. Posts mostly about toilets and sanitation, with a smattering of immigration, morris dancing and theatre critique. Check out the new audio guide!